Montreal Canadiens | What's Up, Ya Sieve? 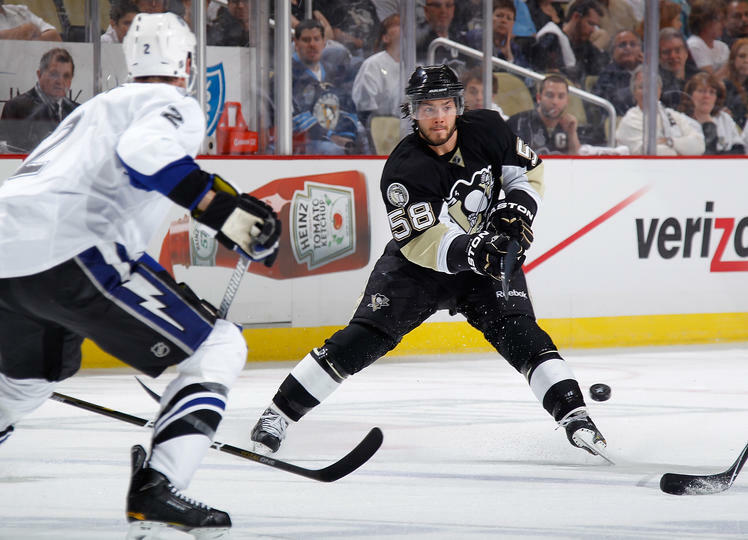 For some teams, the Stanley Cup Playoffs are about building on a season’s worth of experience. For others, the post-season is about forgetting how you got there and starting over. 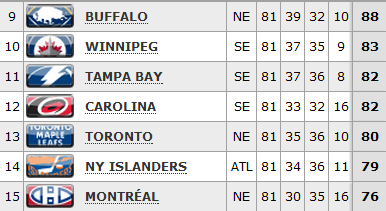 Before we get to ahead of ourselves, let’s take a moment to appreciate the NHL teams whose seasons will end tomorrow. Buffalo has been giving Caps fans heartburn for the last few months – I hurt the most for their fans because it was nearly us in their place. A ton of respect to this team for the way they played in the last half of the season. 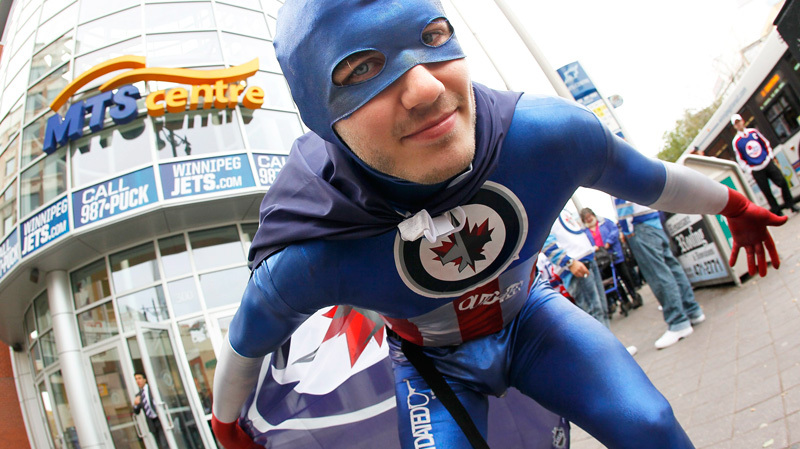 Winnipeg, the most excited place in the League, put on a good show and will benefit from realignment this summer. Tampa Bay… I can’t talk about it. Not seeing Stamkos and St. Louis in the playoffs after their ferocious post-season performance last year just guts me. 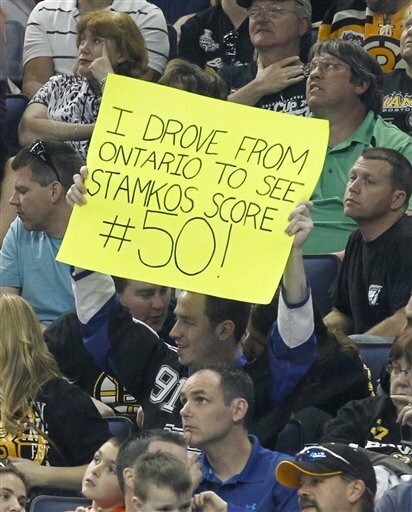 Stamkos for 60 would make it a little better. Carolina struggled so massively in the first half, I hope they feel some accomplishment in getting where they did. Intern Jeff Skinner can even have a few days off. 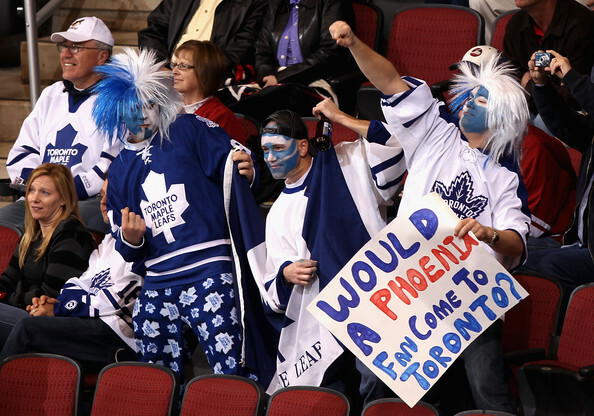 Bless Toronto and Montreal fans – they get angry but they never, ever give up. Even when their teams don’t win, the passion of their fans make me jealous. 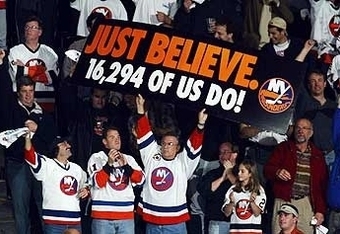 The Islanders have some blinding talent, I think they’re on the upswing. They’ll have more to cheer about soon. Bonus points for Sign Guy. If your team didn’t make the playoffs, we’re sorry. Enjoy the drama of the post-season without wanting to throw up over every goal, or adopt a team that would be happy to have your support. Summer’s not that long, and there’s always next year. 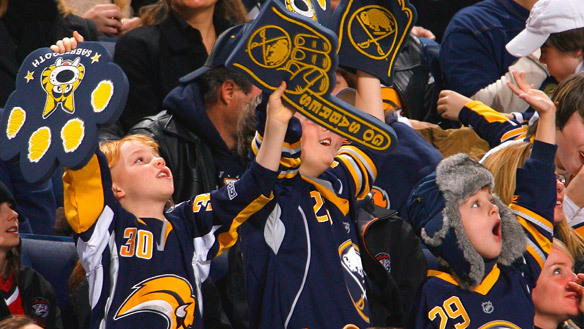 Hockey fans never say die. Western Conference, you’re coming up. Is the stanley cup hiding in there? This week’s beard update. Here’s where it stands. The Sedin’s are disqualified because they always have one and it’s always groomed. 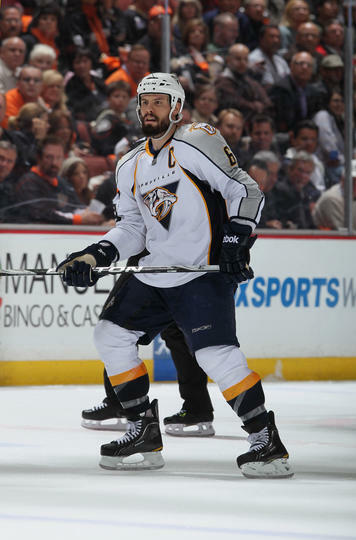 Shea Weber started too early but I’ll include him solely because of its sheer awesomeness but he’s out of the running and same goes for George Parros. And believe it or not, there is actually an attractive man under that obnoxious 70’s facial hair and horrible hair cut! As Mr. Cherrie says, "This is made for riding!" Other than that, it’s up for grab and if I’ve missed one of your favorites, feel free to send a photo because I’ve spent hours pouring over this week’s play off photos and I very well could have missed some one. 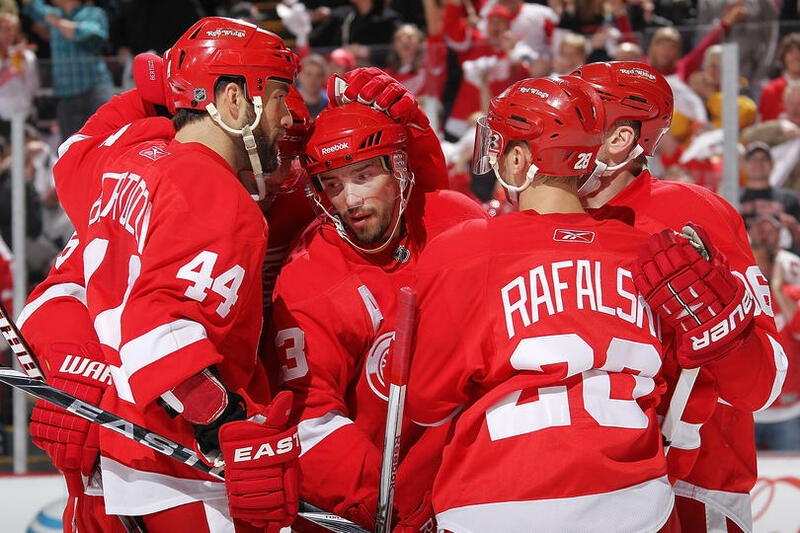 No wonder Detroit keeps winning, the entire team can grow one in a day! Mike Green is growing something MAGICAL! HOLY COW! let's hope more goals come flying out of Patrice's beard ...or somewhere else - SOON! where on earth did this come from? because one minute is wasn't there and the next - BAM! scooby doo ! no wonder this series is tied 1-1 ... penner and wallin. does this really surprise any of us? ALL MAN ... ALL THE TIME. Winner winner chicken dinner! 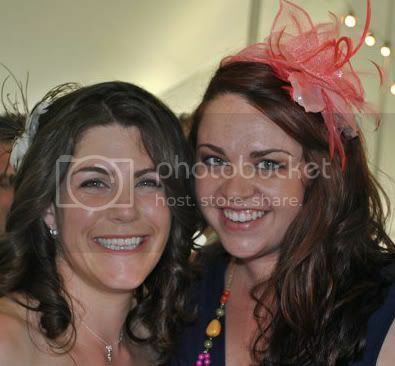 Why is this young lady smiling? Because she took the challenge! 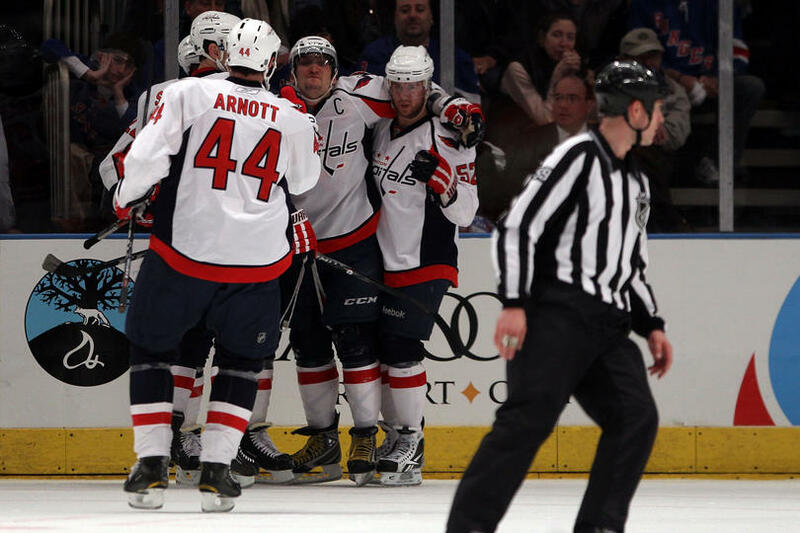 Herr Sturm’s First Goal As A Cap! Marco scores as a Cap this weekend against Montreal who spoiled their play-off dreams last year. It wasn’t the best game ever – in fact, it was quite a grinder. Seems to be happening everywhere as teams who have clinched a play-off position rest their A-team. But a win’s a win and a goal’s a goal! Here’s an interview with him after his first game as a Capital. He was very excited to be playing on the first line but knows there’s alot of work to be done! It could be a lot worse. We could be from Philly. Wait? Is that Sidney‘s head they are burning in effigy??? We don’t like that. Especially Pants. “Get your damn hands off him,” she says. 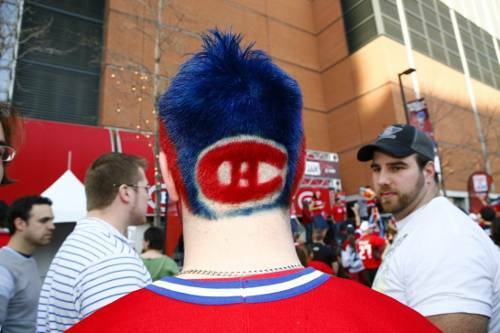 The photo above accompanied a blog post entitled “GQ ranks Montreal Canadiens fans among the worst in sports”. The Habs fans, aka the Frostbitten Hooligans, ranked 11th on the list and fortunately for all of us, are the only hockey team to make this distinguished list of malevolent misfits. To be fair, my beloved Boston Red Sox and the Evil Empire (New York Yankees) also made the list (Kudos for parity, GQ) as did a bunch of college sports teams. But who has THE worst fans in sports? That honor belongs to the City of Brotherly Love, Philadelphia. The Phillies fans topped the list, thanks in part to the digestive pyrotechnics of one fan who intentionally vomited on a 11-year-old girl. The Eagles fans were #2. Two words: Throwing. Batteries. We here are WUYS are very happy at the lack of NHL teams represented on this list. Despite its reputation as a sport of brawling, barbarism, and blood-shed, hockey is actually pretty docile. Its fans don’t boo Santa Claus or America’s first hand transplant recipient. (Philadephia). We don’t call someone’s grandmother a “whore” until she cries (Oregon) nor do we toss bottles of urine on opposing players (Penn State). So, we might get into a few fights here and there, but on the whole, hockey is a sport with impassioned fans and unpretentious players. Seriously. When was the last time that you heard a hockey player get arrested for shooting someone? Or for cheating on his wife? Or drinking tiger’s blood? 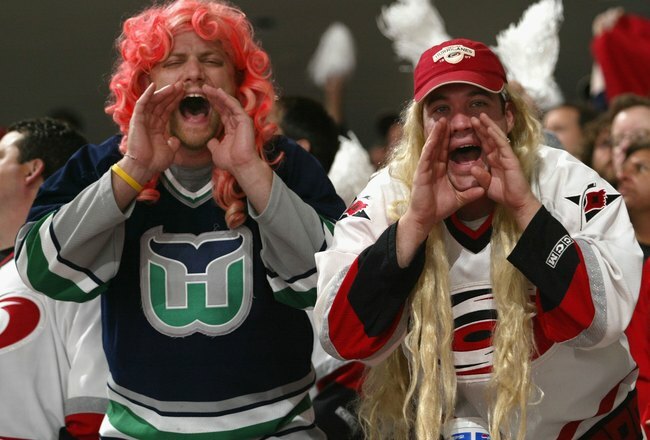 Check out the full list of the worst fans in sports here. That is 3 hours and 7 minutes of shame. Or triumph, depending on who you are rooting for. The teams also scored 14 goals between them. And the Bruins won. So that pretty cool. A win tonight would give the Killer B’s a 7-point lead over the Habs in the Northeast Division. The Canadiens have 15 games left which pretty much makes it impossible to overtake the B’s for the divisional title. It also guarantees the Bruins with a top 3 playoff seeing for the Eastern Conference playoffs. 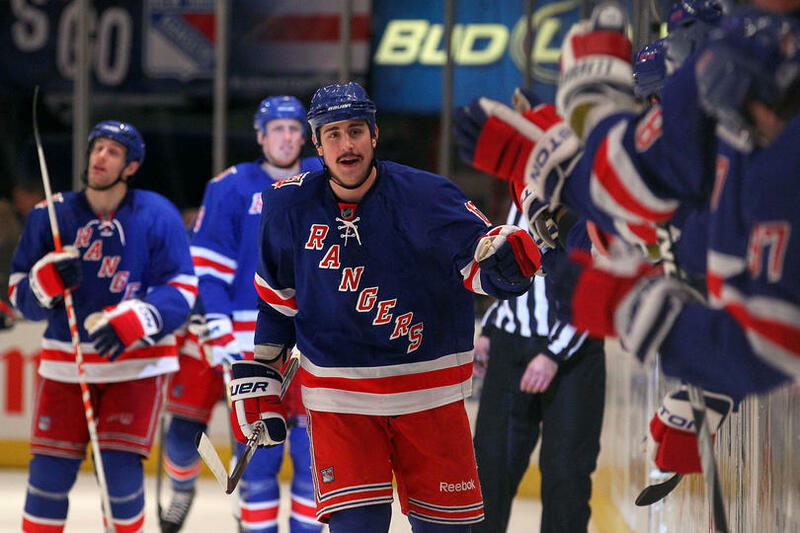 Right now as it stands, they’d meet the New York Rangers in the first round of the playoffs. The only upside of that it getting to see Matt Gilroy, our 1st Foxy Friday honoree. TIMMAY is most likely to the starting goalie tonight despite taking a stinger off his glove hand in practice and Tukkaa threw a tantum at the morning skate. Rask took a shot to the chest, chucked his stick 20 rows into the seats (no pun intended), and storm off the ice. No word of if he’s actually injured. Or just having a hissy fit. 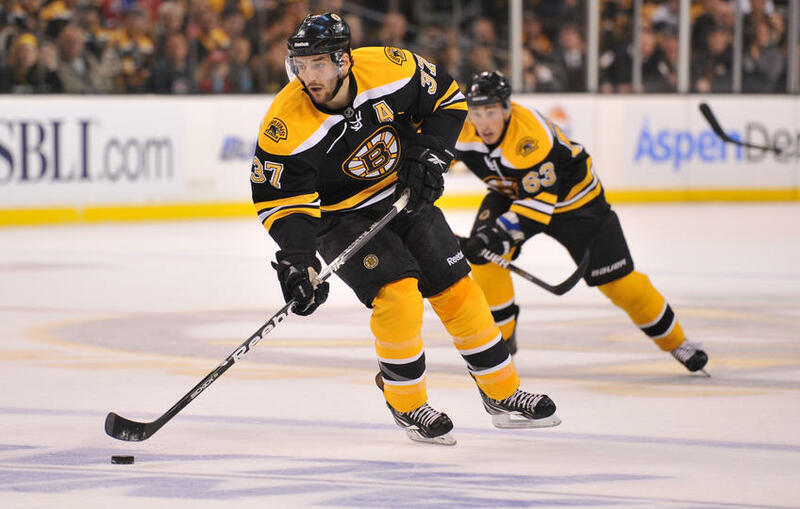 Tyler Seguin is again a healthy scratch for the Bs. What Up With That, Claude? If you are going to keep scratching him, why not just send him down to Providence so he can a least get some playing time? I’m sure the popcorn at the Garden is bomb, but don’t you think Seguin will get more from actually playing, even if it is with the Baby B’s? Upside to riding the bench – he’ll have more time to hit the weight room. Hello folks. Welcome to the Show. The Gun Show. Tags: Boston Bruins, Matt Gilroy, Miley Cyrus, Montreal Canadiens, tim thomas, Tyler Seguin, What Up With That? 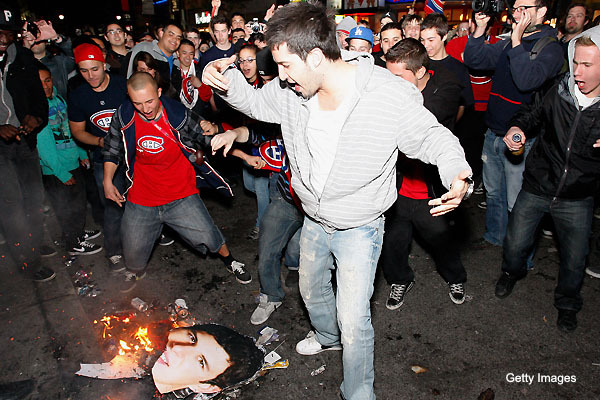 Last night’s Canadiens/Bruins game was epic. The craziest 60 minutes of hockey I’ve ever seen. Seriously. Ever. Every game between these long time rivals is emotional charged but this was ridiculous. Ridiculously AWESOME. I started to write this post last night, but was too emotionally exhausted so I went to sleep to collect my thoughts. 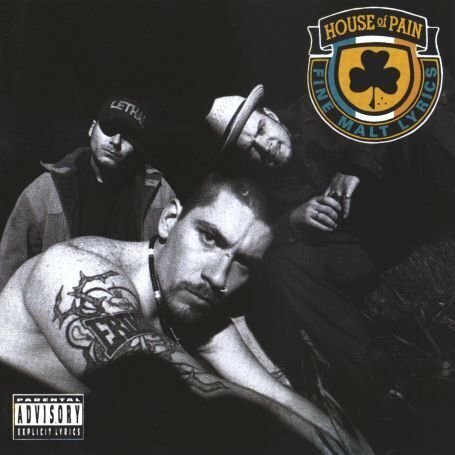 The TD Garden, home of the big bad Bruins, will henceforth be known as the House of Pain. This game had everything. Lions and Tigers and Bears OH MY! 14 goals. 41 penalties. 237 fights. A PLETHORA of goals. Between two of the top defensive teams in the NHL. The poor PA guy barely had time to catch up between all the penalties and the goals. Get that man a Ricola STAT! The massive 2nd period brawl – 34 PIM handed out. Crowded house in the penalty box. 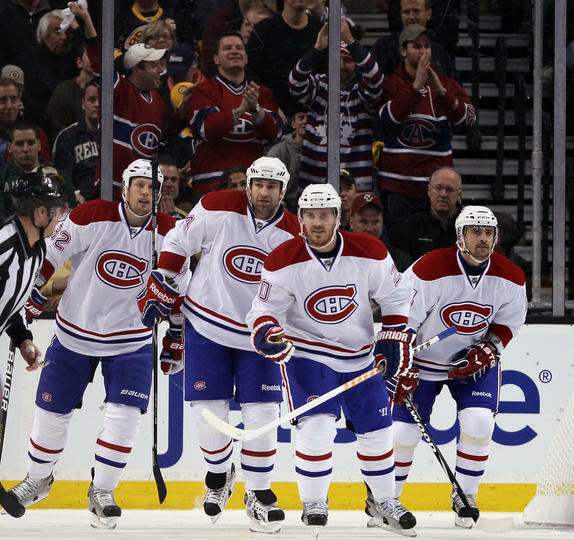 At one point, 6 Bruins in the penalty box, 5 in the Habs’ box. As Pants pointed out, it is like piling people into a phone booth. Goalie fight! Thomas vs. Price. Not as epic as Johnson vs. DiPietro but entertaining none the less. Timmay smiling and laughing the whole time. All five players on one line putting up their dukes. Now that’s what I call teamwork, boys. You fight, I fight, We all fight! YAY! Nathan Horton has a 5 point game (1 goal, 4 assists). Could he finally be living up to his potential?? Lucic the Love Doctor added 2 goals and an assist. Ryder score 2 goal-scorer’s goals. Krecji had 3 assists. With Savvy done for the year, these guys are really going to have to produce for the Bruins to have any shot at making a run in the playoffs. On a side note, Tyler Seguin totally bumming that he missed this game. The youngster was a healthy scratch last night because he hasn’t exactly been playing up to par recently. 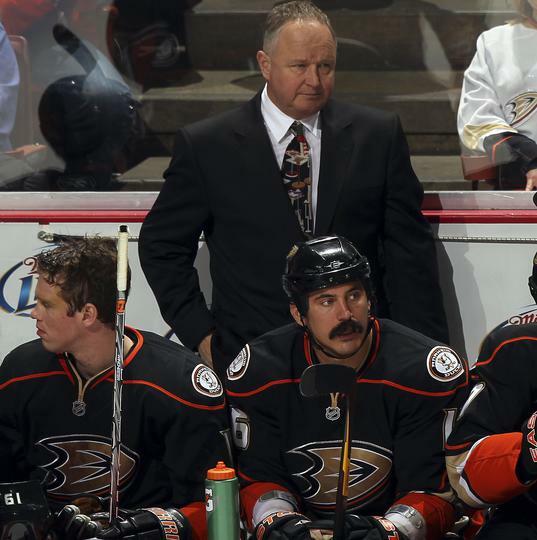 Perhaps Coach Claude thought a night watching from the stands might light his fire. After that fightfest, I bet Ty-Ty is hitting the weight room and skating at practice twice as hard. Forget about guns. I got missiles. More Goalies Gone Wild – Sort Of. Timmy the Tank and Carry Price got into it tonight but it wasn’t exactly an epic throw down ala puncher-roo Brent Johnson and you couldn’t even call it a Mike Green-slapfest. It was more like a gigglefest between two teen-age girls who got carried away with some hair pulling. Because although all hell broke loose between Montreal and the Bruins with Timmy skating down to fight Price, it had to be hard for Price to take him seriously when he was already laughing by the time he got to the other end. What on earth do you call that? I mean really? God bless Timmy because he is certainly a ray of sunshine – who else laughs and throws punches all at the same time!? BTW – the penalty box had more players in it than a can of oysters or the actual bench for that matter. Not a sight you see every day.